Cremation Jewelry FAQ's Filling Instructions Why Choose Cremation Jewelry? The Blue Plated Millenium Ash Pendant can help you to heal after suffering the loss of a loved one. This wonderful keepsake will hold a small amount of cremains inside of it. Created from rugged Stainless Steel with a smooth blue plating, add your favorite charms or shop from our selection. Be true to your sense of style by adding up to three extensions to change up your look. Wear the Millenium with one for a simple more refined look or go dramatic and display up to four beads by adding three extensions. 1/2"wide x 1 3/8"high. 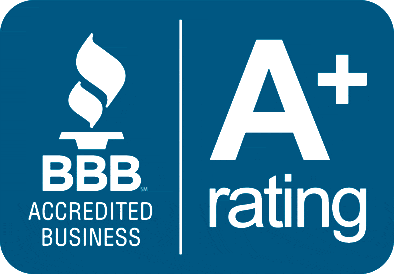 We are proud of our A+ rating by the BBB. An A+ rating means that not only are our customers happy with their purchase but also their shopping experience and our customer service. Your information is safe at Everlasting Memories with McAfee SECURE and we are certified to be free of malware, phishing, viruses and other cyber attacks that may harm you or your computer. Our return policy was created to give our customers peace of mind that if the product that they order fails to meet expectations, you have 30 days to return the item for full receipt of purchase price.